This style is updo goals. There’s a new updo hairstyle to steal from the street style scene. This messy double bun style is everything we love in an undone updo. It’s so easy to recreate that we strongly believe you can do it with your eyes closed. Wear it with your off-duty chic ensemble on the weekends, or on a quick night out on the town with the girls. Want to get the look? Read on to learn how you can get the messy double bun that will turn heads! Step 1: Start with second-day texture. This hairstyle looks best on lived-in hair. If you have second- or even third-day hair, you’re on the right track. If not, no need to worry. There are plenty of hair hacks and hair products that can help you achieve the look. 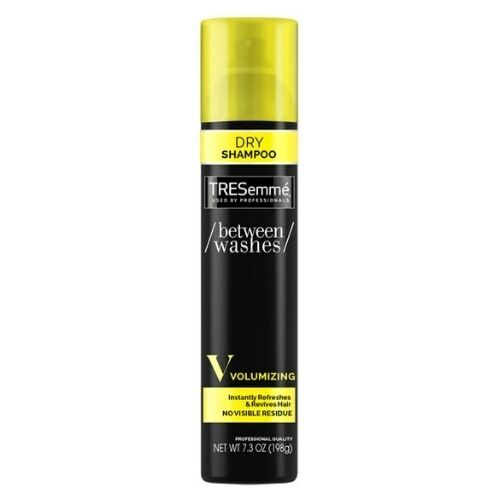 Either backcomb your hair or use a dry shampoo like TRESemmé Between Washes Volumizing Dry Shampoo to remove excess oil giving you a fresh, voluminous, and textured base. You need two sections of hair to create this messy double bun style. Part hair from ear to ear and section off with a hair clip. Now its time to create each bun. Start with the lower section of hair first. Gather this section into a ponytail and coil the ends into a mini bun. Use hair pins to secure in place and repeat with the top section of hair. 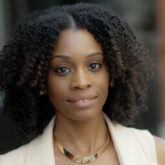 Using the tail of a comb, slide through the front section of hair and gently lift for volume. This will give you the pompadour effect. Pull a few pieces of hair out at the front to enhance the messy look. Now it’s time to finalize your messy double bun style. 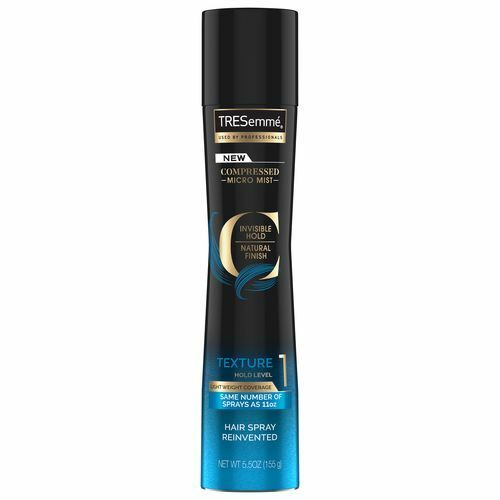 Set hair with a hairspray like TRESemmé Compressed Micro Mist Hair Spray Texture Hold Level 1. Upgrade your updo with this!